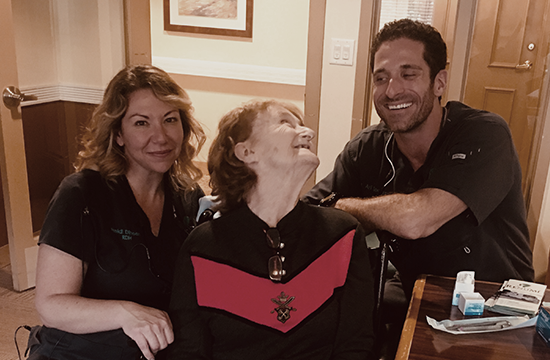 Renumi Dental is South Florida’s premier concierge dental service for senior living facilities and individual patients. Since opening in 2015 we have become the largest on-site/on-demand Dental practice in South Florida and we hope to bring our services to you! With patients living longer and keeping their teeth longer, there is an increased focus on DENTAL MAINTENANCE. Enrollment into RENUMI Dental program which offers up to 30% off of our Dental treatments. The full list of services and pricing available upon request. Call us today at 1-844-4-RENUMI (473-6864) or click here.